Creekside offers free parking in the public garage below our restaurant. Two access points are directly off of Mill Street. Locally Brewed Mexican Lager on tap, and a latin twist on our fan favorite Loaded Barrel Chips! 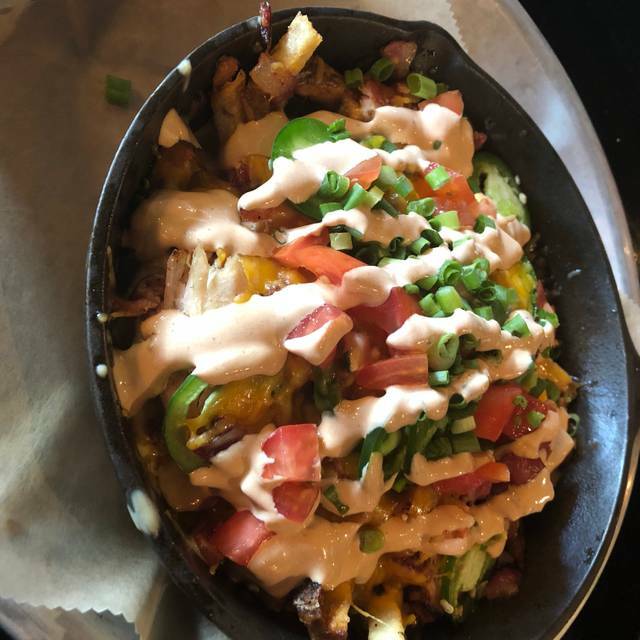 House made chips topped with queso cheese sauce, choice of smoked meat, pico de gallo, guacamole, and chipotle sour cream for only $10! Brunch Buffet w/ house smoked carved ham! BYO Bloody Mary Bar! All mothers will receive a complimentary glass of sparkling wine and a small sample of locally grown sage to cap off Gahanna Herb Week! Ben the Manager is amazing. Food was tasteless. Brussel sprouts had sugar in them, sweet potato fries had sugar and cinnamon. Kielbasa platter came...the kielbasa was sliced in tiny slices and if you lined all slices up, it was probably half of a store bought size...for $13-$15!!! Pulled pork and pulled chicken was not pulled, it was chopped and dry like it had been warmed up from the day before. We had a great time. Party of 8 having dinner in the bar area so we could see the Honey Tones. Our service was great, the food was delicious, the entertainment was wonderful. All in all we had a really good experience. We love Barrel & Boar! This was our first Saturday night experience in a while, and we had so much fun. Made some new friends while having a drink at the bar, and enjoyed a feast of the best bbq in columbus. We always bring friends and family here and everyone loves the food. We really enjoyed our family and friends dinner everything was beautiful waitress was good she did need help however Ben was great making room for our party! As usual, food and service were spectacular. We had a great experience and Amy was very attentive. We look forward to our next visit. Appetizers came out burned. Sheet pans of food lying out on the counter in the front of house. Gross!!! I took my family to this restaurant that I found on the web. The food was fantastic and my daughters loved the fries! We will be back when it is warmer to eat outside. A great family place to eat. Good service, good food, price was fair. Overall experience was good. Always love Barrel and Boar... never disappointed. We dine there almost every week! Our server was wonderful and food was brought out quickly. After eating we stayed for drinks and the atmosphere was lovely. Entrees were tasty and service was fine. Nice selection of craft beers. However, they were out of the smoked chicken wings (which someone at our table had ordered) and I received the last order of ribs. Seems strange for a barbeque restaurant to run out of these basic entrees fairly early (7:15) on a Saturday evening. The only issue we had was they were out of 2 items we wanted to order. Food was below average. Meat seemed to be cold after about 3 minutes. Server was great, just not a good barbecue spot. The restaurant was setup nice and service was good however most of the food we had was barely warm. It tasted like it had been re-heated and dried out specifically the brisket and pulled pork. Barrel and boar at creekside is always awesome! My husband and I live close and go often. The food is consistently great! They change up the menu just enough to give us some new things to try if we’re not feeling like a staple favorite that day. The service is always wonderful and food comes out really quickly. Highly recommend the loaded barrel chips with brisket on top! They are a great appetizer to share, but so good I want them all to myself! Ben runs a great restaurant with an awesome staff! Fun place too if you like live music! The first time we dined at B & B is was wonderful! Food was hot and fresh and service was great. The second time the service we received was poor. We ordered 36 ribs and 3 sides of fries and were very offended with the waitress gave us a look like, "36 ribs?" We were a party of 10 after all. The food came out promptly, but it was not hot and the fries were soggy. Then the waitress proceeded to ignore us for the duration of our stay. I noticed her attending her other tables quite frequently, including another large party of 10+ guests. We never were able to refill our drinks and we sat there after finishing our food for sometime before getting our bill. I really like this location and have been here many times. The food is delicious. Service has always been good. Nice ambiance. Noise level is ok. Sometimes they have live music which I've enjoyed. Skip dessert. Twice I've had slices of pie to go. $7 and each time the slices were very small - noticed when I got home. Literally 5 normal sized forkfuls. It was the first time there for a few months. We enjoyed it very much the food was great along with the service. The music (recorded, not live) was nice but a bit loud for conversation. We look forward to going back. I loved the food and service. It’s a great location and nice ambiance. 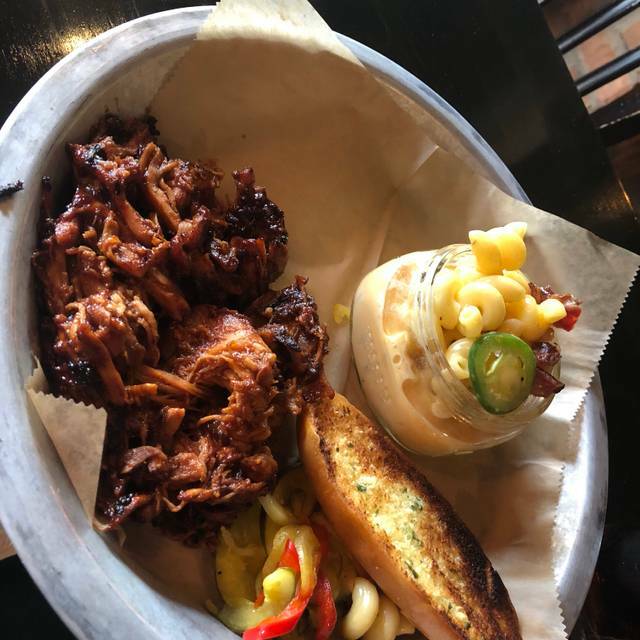 Barrell & Boar specializes in barbecue related items. The brisket was excellent and my wife's crab cake sandwich was also very good. We were there on a Tuesday before a Blue Jacket's game and had reservations that were probably unnecessary on a weeknight at that hour (5:30), but reservations may be necessary at other times. Excellent food, very good service, nice relaxed atmosphere. We will go back! We highly recommend it. We were there for a 4:45pm reservation on Tuesday so we have no frame of reference for busier days or busier times of day since it was fairly quiet during our pre-dinner rush visit. However, setting that aside, our first experience there was outstanding. I've already forgotten our server's name but my wife and I were so impressed with his top notch customer service skills, his energy, his attention to detail, and everything else that he did for us that we tipped 30% which we've never done before. The owner, Ben, was equally impressive during our brief conversation with him just before we left. The food was also outstanding and the value?....Even after ordering a $10 drink, our dinner bill still came in at only $33 pre-tax. Speaking of pre-tax, the pre-calculated suggested tips printed on the bill were properly calculated based on that pre-tax $33 rather than post-tax like so many unscrupulous restaurants tend to do. We made sure to let Ben know how much we appreciated that aspect of our visit also. Great great first impression. We will absolutely return. Felt like we were a little rushed and was never asked if we wanted desert. We took a family member there for their birthday and they don’t do anything special if you go there on your birthday. The other location is better and serves bigger portions. I ordered the shredded pork platter and was given a lot of the skin and was kind of fatty. Our food was delicious. 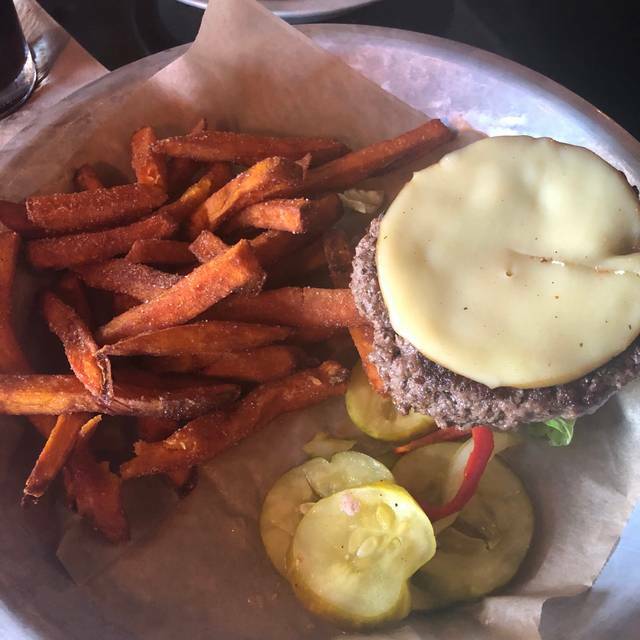 The sweet potato fries are great. We had fast service and our waiter was very friendly. 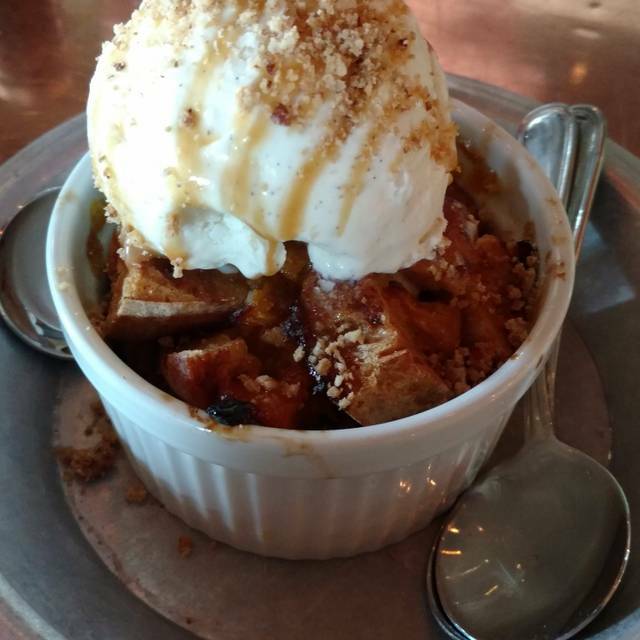 Being southern, I was super excited to visit Barrel & Boar during restaurant week. With hoppin john and brunswick stew on the menu, what southerner wouldn't be excited? The ambiance was great. For the quality of food, quality of preparation, and portion size, the restaurant week menu was over-priced. The brunswick stew was alright. 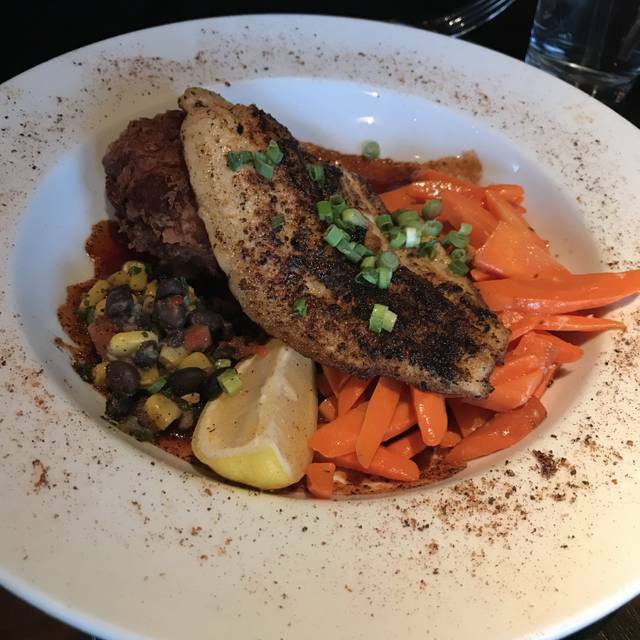 The blackened catfish was okay... poorly seasoned, but the winter root vegetables were not cooked well. It was missing the potato croquet. The peanut butter pie was GREAT, but was just a sliver and could barely be called a portion. I'm hoping it was an off night. I'd be willing to go back and order off the regular menu and see how that goes. 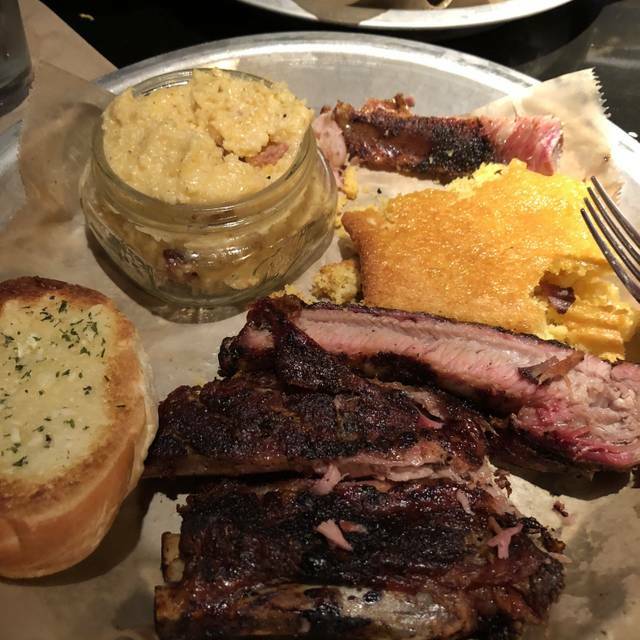 Not too many true southern options here in Columbus so I was really excited to learn about them. I hope the next visit doesn't disappoint! We went here for Restaurant Week. The options were limited. My husband had the pork chop, it was pink & bland. I had the catfish, it was under cooked & the potato cake was so salty, neither one of us could eat it. We’ve had better food. The only thing this place has going for it is the atmosphere. As glowing as my review, I was disappointed that I ordered an Ohio draft beer, a porto, sto be served as 0ne pint or 16 ounce. However, I was given a 10 ounce tumbler. I did take the server to task for fear of embarrassing my spouse. Had never been here but the food was to die for. The poutine was delicious and the s’mores bread cake was outstanding. The service was quick and on point which was just an added bonus. Will definitely be back! 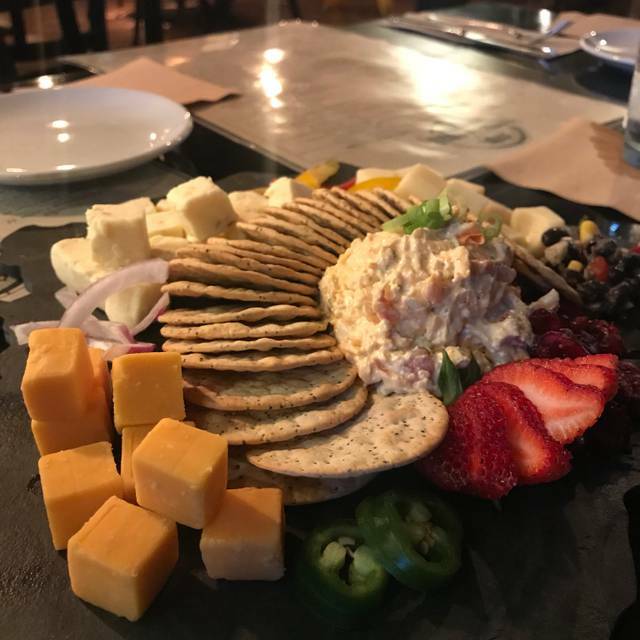 My group and I had such a fun experience at Barrel and Boar. I would definitely come back. Their ambiance is wonderful, the staff were very kind and attentive, and the food was delicious! I will be coming back! Not as romantic as I was hoping for my date, but regardless, the food was wonderful, the waitress was great and attentive, and the location is beautiful. Jamie was a great bartender who took great care of us all evening! Great food and live music in the bar. It was Taco Tuesday and my husband loved the tacos. It is a great deal—all you can eat and thee kinds of tacos. I enjoyed one of my favorites—shrimp and grits. Service was great as usual. A group of use went to Barrel & Boar for New Years Eve Dinner. It was very nice. We had great food and service. It was responsibly priced. Shrimp and grits were great. 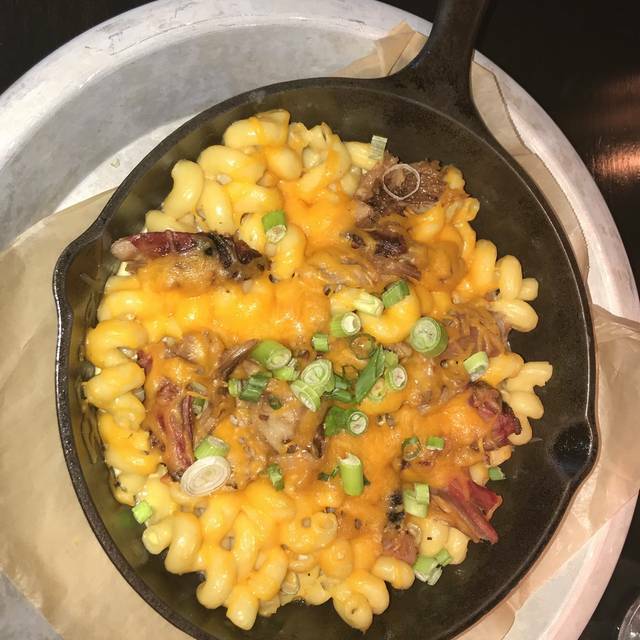 Spicy Mac and cheese hotter than anticipated. Brisket sliced thin like deli meat, disappointing. 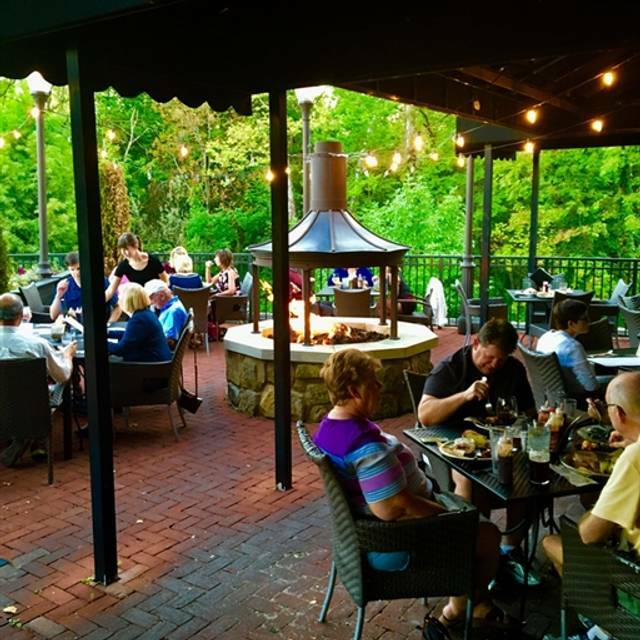 Nice atmosphere, good location to sit by outside fire or walk near the creek.